Described vulnerability has been quickly fixed by Flickr.com team. The exploit is an example of using my HTML5 arbitrary file upload method. 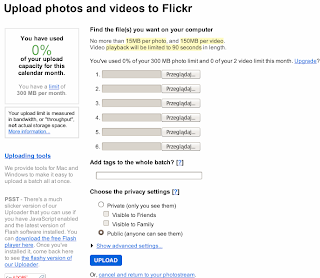 Flickr.com basic upload form displayed on http://www.flickr.com/photos/upload/basic/ submits a POST request with multipart/form-data MIME type (standard HTTP File Upload form). On line 11 there are some Flickr.com cookies, there is also a magic_cookie form field which looks like an anti-CSRF token. However, it was not verified properly. Changing the value or removing magic_cookie field still resulted in successful file upload. To make things worse, Flickr.com uses persistent cookie BX for 'keep me signed in' feature. Sending POST request to http://up.flickr.com/photos/upload/transfer/does not require an active session set up beforehand. If BX cookie is present, Flickr.com will silently sign the user in while processing the request. Therefore all accounts using Flickr.com 'keep me signed in' feature were potential targets of described attack. was able to submit a file to Flickr.com on logged in user's behalf, because the browser would attach the Flickr cookies to the request, and Flickr had no way of distinguishing it from a legitimate request (a classic CSRF vulnerability). As a result, visiting malicious page in browsers supporting CORS requests as per specification (Firefox 4, Chrome) while using Flickr.com 'keep me signed in' feature (or having an active Flickr.com session) resulted in uploading images and videos chosen by attacker to Flickr.com photostream (with visibility settings, tags etc. chosen by the attacker). Exemplary exploit code is here. As of today, Flickr.com fixed the issue and contacted me to confirm the fix - all within a few hours since notifying, great work guys! Now magic_cookie value is checked upon processing the upload request. So what about cross-domain ajax? 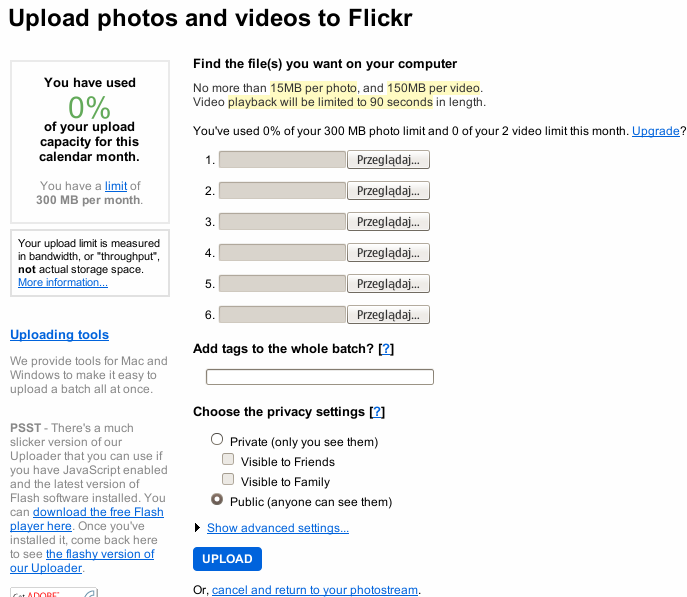 Here you're sending ajax request to upload on flickr (in the github link), how's that possible?